So, we made it! Thank you all for helping me to work on this blog with your comments and participation. I’m looking forward to have many future discussions with you. 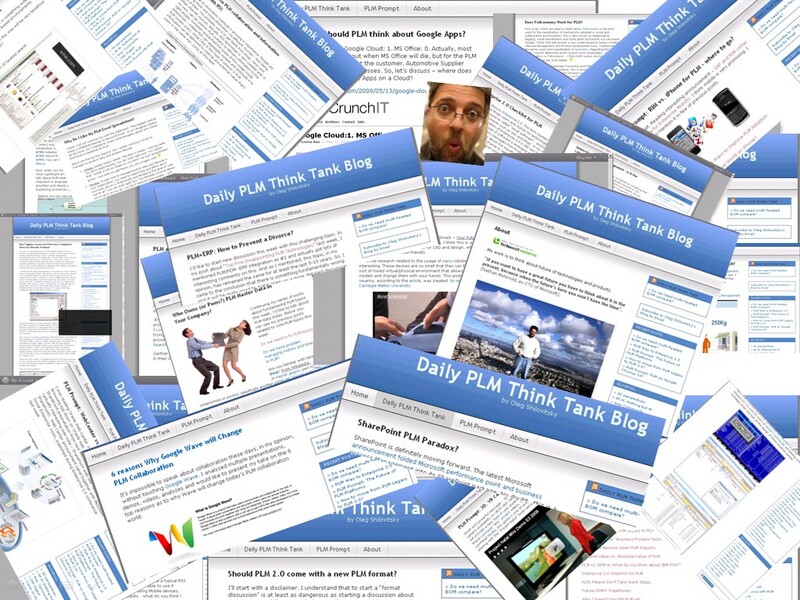 your blog is a way for many like me as a guide towards real meaning of PLM and not features of softwares. Many vendors claim their features as PLM functionalities. Refer your blog “do we need multifaceted BOM compare”. How nicely you made a reader to understand what I meant above. But can you then help us in understanding how to solve this problem? What is better way to tell designers and shop floor and assembly people and in general all users about BOM difference details required for daily use. I think BOM for a particular assembly is very rigid. What changes is only addition and nothing is deleted from basic BOM when given to others. This should be managed by tool in a matured way. Competence leads always to success. Kudos, Oleg! Roberto, Thanks for your words! Best-Oleg. With regards to “how to solve these problems?”… I think, I’ll keep this blog as brainstorming place. I have an idea for my next blog which will be more “problem solving” orientation. This is still undergo process. But you will see it in the near future. Congratulations Oleg. The range of topics you cover and frequency of posting is amazing. I meant to comment earlier this week and forgot. happy b-day Oleg. Great content, thought provoking and different. keep up the momentum man. see ya. Josh, Thanks a lot! … Take care, Oleg.